Setup and initial project creation is seamless, user interaction with tool and menus is intuitive. The UI creation tool is really useful. There are some challenging limitations when third party libraries are brought in to a QT project. There are quirks with certain hardware platforms that we struggled with initially but through some forums posts were able to come up with solutions that worked for our embedded UI development team. I would definitely recommend seriously consider QT as a viable tool for UI development, especially if time to market is a higher priority. There is a learning curve to the library interaction but it's not insurmountable and with some persistence can easily be overcome. UI development. We were able to install the application from the QT Creator website (by googling it from our web browser) and bring it up on several embedded firmware engineer's personal laptops. From there getting the project going was quite easy and quick, within the first day we had code running on hardware and could start implementation and user experience feedback with the team. """The best stage to develop an application """
At times it is a pinch of dumbfounding how to set the layers to keep all of the gets and parts together or at a settled division. Regardless, it's to some degree straightforward and you learn it really quick.It isn't the most adjustable IDE contrasted with Eclipse and Visual Studio, nonetheless, despite everything it works well. I use it on Ubuntu and Windows and dependably locate the last sets aside greater opportunity to setup before use. Give it a shot as it is free and straightforward. A great many people code in C++, nonetheless, there are language ties that permit different dialects, for example, Java, Python, and Go which is the thing that we use. So don't be put off if C++ isn't your thing.Qt is appropriate for each kind of venture. For extremely little ones ( like activities for school ) or for enormous ones ( a total venture with different conditions ). It's free for an individual or an understudy use so it remains viable. It is especially appropriate for Graphical User Interfaces ( GUI ) and obviously, for Qt improvement. Try not to disregard Qt Creator for Android advancement as it has a fresh out of the box new help in that issue. ""The best stage to build up an application ""
In some cases it is a touch of befuddling how to set the layers to keep every one of the catches and parts together or at a settled separation. In any case, it's somewhat simple and you learn it truly quick. Give it a shot as it is free and straightforward. The vast majority code in C++, in any case, there are language ties that permit different dialects, for example, Java, Python, and Go which is the thing that we use. So don't be put off if C++ isn't your thing. "QT Creator, an IDE based on the Qt application framework"
Qt Creator's interface is clean and easy to understand. It has all the tools you need for console output, debugging, tracebacks and also includes useful functionality for jumping between functions and their definitions, and also between source and header files. The debugging and traceback functionality is extremely useful when trying to find where a problem lies in your code. You can easily set breakpoints and jump to the section of code you believe is causing the problem and see the local variables and their contents in real-time. The UI/form designer is a huge time saver when building complex interfaces, such things would require time-consuming manual XML entry by hand otherwise. You can also preview any UI you design by pressing alt+shift+R which is helpful when testing out how the sizing options of the window will work and how it will affect your controls. It can occasionally crash, but this is fairly rare. Making sure you have the latest version on Linux can be a bit tricky if you're using a software manager, usually best to grab it from the website if you can. I'd recommend Qt Creator as a good quality, low-cost multi-platform IDE. I've certainly used worse! "More than an IDE, it's everything you need"
The Qmake system is really reliable, I used it for many projects, even complex ones and it's really simple to link multiple projects, to create test versions, especially with Qt Test. Moreover, it's compatible with almost everything, and allows to use qt really easily. I feel it weird that the search engine (to search a word in files or to find a file) is not more obvious to find. It's not easy to find in the interface, in visual studio it's very intuitive, reliable and fast. The interface personnalisation is quite poor and it's not especially easy to configure all the settings. Moreover, it's not easy to share your settings with others or simple with another desktop. Qt is suited for every type of project. For very small ones ( like exercises for school ) or for big ones ( a complete project with multiple dependencies ). It's free for a personal or a student use so it stays very practical. It is particularly suited for Graphical User Interfaces ( GUI ) and of course, for Qt development. Don't overlook Qt Creator for Android development as it has a brand new support in that matter. "It is a powerful and amazing software"
I used it to create interfaces to interact with 3D and physical models, and it is very easy to use and learn. You can insert buttons, layers and everything you need to create an easy-to-use window that adapts to resizing and keeping the objects in place. Sometimes it is a little confusing how to set the layers to keep all the buttons and parts together or at a fixed distance. But it's a bit easy and you learn it really fast. If you want to work with OpenGL and interact with 3D models, lights, physics and this, this is your application. Easy to use, free and really complete. I had to create an interface where users load 3D models, they can move them and activate or deactivate gravity, collision and transparency, insert lights, a lot of different objects to interact with models to take snapshots. "Qt Creator is exactly what you need if you want to use the Qt framework "
The ease at which I can make a functioning UI and changes makes it my preferred IDE when I'm developing a UI. This is thanks to the form designer which saves you a lot of xml coding time and makes it easy to preview your changes. It is not the most customizable IDE compared to Eclipse and Visual Studio, however, it still functions well. I use it on Ubuntu and Windows and always find the latter takes more time to setup before use. Try it out as it is free and easy to understand. Most people code in C++, however, there are language bindings that allow other languages such as Java, Python, and Go which is what we use. So don't be put off if C++ isn't your thing. We primarily develop a cloud based system that interacts through a web browser. However, a client in a remote African country wanted a version that ran on their local servers as there are constant internet issues. We used Qt Creator to create the UI and it was easy to use and implemented all of our features quickly. Without it we would not have been able to develop as fast as we did. "The best platform to develop an application "
On the other hand, what I like least about Qt creator is the lack of updates in their own libraries. I recommend Qtcreator to other programmers since this tool is really powerful and they will get really good results. Thanks to the Qt creator platform we have been able to develop different applications of predictive analytics, obtaining great results. "The IDE for human beings"
I like that Qt Creator is a modern IDE with all the modern features that a developer in 2016 should have. Simple interface, great functionalities, awesome debugger, god-like auto-completion, and a lot more features. I dislike maybe the lack of fuzzy search for files and jump to files directly by typing their name. I worked a lot with Sublime Text, and this is a feature that I uses a lot in big projects. I find the lack of it somehow disturbing. If you are building an application with a Graphical User Interface, Qt is the framework to look for. With their amazing IDE, Qt Creator, building these applications will be a breeze. It works just perfectly. And the applications are portable, something very important if your user base is using different OSs. I am building a graphical application for a computer vision solution in which the user needs to work with multiple tabs and videos and annotations ... etc. Qt and Qt creator style of building these GUI applications make it easy for me to quickly build and add features to the application. "It's a really powerful and awesome software"
I used it for interface creation to interact with 3D models and physics and it's so easy to use and learn. You can insert buttons, layers and all you need to create a user friendly window that adapts when you resize it and keeps the objects on its place. Sometimes it's a little confusing how to styablish the layers to keep all the buttons and parts together or at a fixed distance. But it's a minor easy and you learn it really fast. If you want to work with opengl and interact with 3D models, lights, physics and this stuff, this isd your app. Easy to use, free and really complete. I had to create an interface where users load 3D models, can move them and activate or deactivate gravity, collision and transparency, insert lights, a lots of different objects to interact with the models to take snapshots. "Easy and full-featured cross-platform IDE"
- It is open source. - It is supported on Windows, Linux, and macOS. - It is fast and fully keyboard navigable. - It supports multiple languages. - It has a beautiful and modern UI. - It has a very decent debugger. I can't really find anything that i dislike. Qt Creator is fulfilling all my needs as for now. Maybe, the only thing that bothered me was its poor multi-window mode support. Apart from that, everything else was fine. I recommend QT and its IDE Qt Creator for anyone who wants to build an application with a Graphical User Interface that is portable and performant on all the supported systems (Linux, macOS, Windows). This means a lesser effort for a broader user base. Also, Qt Creator make creating this type of applications a fun process that make the developer and the project manager both happy. I am working currently on creating a GUI interface for an annotation tool. This tool is a part from a Computer Vision learning framework that we are developing. Qt Ability to create graphical applications dealing with videos and its integration with OpenCV were the perfect tool set for our use case. Qt Creator that came with Qt was the IDE-to-go with for building our application, and it was the right choice. "Best C++ library and IDE"
This is my first C++ UI design and programming IDE. I absolutely love it. It has powerful library the can make nearly every of your idea true. With the clear and instructive documents, C++ is not that intimidating anymore. I recommend it to intermediate C++ developer who want to start UI design. I have not found anything I don't like yet. To those who want to develop cross platform desktop application with C++, this is the perfect IDE to start. Its library is powerful and easy to use. It also has lots of tutorials that help you start. "Best IDE for creating apps in Qt"
The flexibility it provides to the users is great. Features like Auto complete, Debug, Build, Clean, provision to attach Valgrind etc..are mind blowing. It sticks on to the same standard shortcuts for compile, build, auto complete etc which most of the other applications use. QML support and other supports it provides are very much appreciable. Excellent for cross platform app development. Qt Designer- The best application user interface with the integrated editor. Great that Python, Ruby, Java bindings can be used to this. Occasional Crashing and freezing disrupts its name a little. It could be great if there was a provision to integrate other text editors to it so that developers who have expertise in other editors could easily use the same. Destroying developers skill to do things: CPP developers are forced to think the Qt way rather than proper CPP way to do the development. In fact ruining a CPP developers skill on pure CPP application development. Issues with installing database drivers. Single Threaded: ui updations can only be handled from a single thread which really makes it hard to develop multi threaded applications effectively. QMake is outdated (and complicated for more advanced projects) and everyone knows that. Trolls are looking for a better build tool even now. Refer the Qt documentation. An excellent unavoidable thing a Qt developer should try with. Developing embedded Linux applications as well as windows desktop applications. Cross platform development capability is the main thing I like about it. Simply put, Qt creator is the best (and arguably the only reasonable) solution to develop Qt based application with multiplatform in mind. In addition to the polished interface, Qt creator have a good code completion and debugger integration. In can also be used for many other sort of development in python and java, and with the new android platform support it become a serious competitor for more fledged IDE. It would be nice if if the interface was less clumped with the vertical bar to the left that take a large porting of the screen real estate. The plugins system is not as rich as other IDE or editor and that's a shame. If you plan to develop a multi platform application with a gui interface, Qt is a very serious option. With that in mind, nothing beats Qt-creator for Qt development. Developing GUI application for linux can be a very painful experience if you adopt the classic editors as emacs and vim. Using Qt creator is a nice boost to productivity with a tool that can work as an interface designer and code editor. "QT Creator for GUI Development"
Qt Creator provides you with tools for accomplishing your tasks throughout the whole application development life-cycle, from creating a project to deploying the application to the target platforms. Qt Creator is an integrated development environment (IDE) that provides you with tools to design and develop applications with the Qt application framework. Qt is designed for developing applications and user interfaces once and deploying them to several desktop, embedded, and mobile operating systems. You must make sure that the package contents meet the requirements for publishing on a 3rd party channel. Qt Creator is integrated with cross-platform systems. "A worthy alternative to visual studio"
The debugger can sometimes be messy. Atom performs much better with respect to version control. Developing code for research project in computational mechanics. Interface with GPU computing. "Qt creator is a solid IDE for C++ development"
The complexity. The code base of Qt has grown and morphed over time including all sorts of trends which makes it sometimes hard to find the best solution that will work in a modern setting. It has a clunky Microsoft feeling to it. The fast turnaround. For very simple problems such as adding sim GUI elements for a client it is usually very easy to simply use the graphical user interface of the qt editor rather than type the code itself. Yet when projects grow making GUI inside another GUI is not beneficial and there is the strength because it is easy to convert the XML to C/C++ code. I am using Qt Creator both on Windows and Linux and I have found this IDE as quite fast and easy-to-use, great for C/C++ programming (and of course stuff using Qt). It's lightweight and offers enough options to set up your programming environment. Qt Creator does not have a lot of themes and settings of default content for *.pro files could be also a bit easier to find (so the user will not have to look it up in program files). If you are searching for good IDE for C/C++, Qt Creator should be one of the adepts - one of the great features is it's support for most modern compilers (MinGW on Windows for example, GCC/Clang on Linux). Programming in C/C++, mainly pure without Qt. Great as an IDE for Linux because of integration of valgrind memory analyzer. "Simple & elegant GUI editor"
Responsive and nice looking UI makes functions easy to find. There is a distinct lack of refactoring features compared to similar GUI editors. I am creating a network of biological pathways. The network flow is coded with C++ and visualized using qt. "Best software for GUI application development." It is a great software for handling UI and it's working, all at one place. Very useful once you get yo know all it's details. Everything about this software is good except that there are too many files to handle all at once. Takes some time to learn all the modules. Used this for designing and implementation of various forms. It has a visual debugger along with GUI layout and form designer. "Great syntax highlighting and auto-completion "
Qt Creator uses normal .pro-files, CMakeLists.txt, Makefiles.am, etc. for its projects and rarely needs special configuration for projects. Projects can be built on the command line as usual. Responsive UI, no need to use the mouse for the power users. Allows for the creation of a window based UI in a graphical editor, no code required to build the UI. QtCreator has lack of refactoring features. It's not even close to Resharper++ or CLion. We use Qt Creator to program our core application and it's form designed to build the GUI interface. GUI, debugger, text editor, project tree, version control( git, github ), cmake, qmake, color themes, documentation, hotkeys, full screen mode, many examples. The open documents window below the project window. I think it would be better if it were possible to organize open documents in a bar above the editor like a open documents bar. 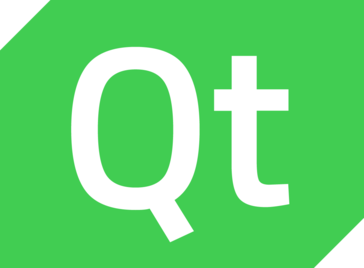 Qt is a great choice for C e C++ development. Qt brings a great development experience you can modify your environment, change themes, split the editor screen, integration with git, etc... everything to make your work more productive. Incresead productivity in C++ development. "Must-have for a Qt developer"
Easy-to-use UI designer and a full-fledged IDE. The project setup is too complicated for a new user. Qt Creator has an active user and developer community. I am happy to see it recently adds CMake integration. It is a must-have for developers using Qt. If you wish to use C/C++ IDE I suggest you looking at Qt Creator instead of CLion or any other - it's faster and has as many features. "Great software for User Interface Design"
"More than 5 years of C/C++ code editing in the QtCreator." Amond others Linux tools this one looks like real IDE. Nice syntax highlighting, fast navigation, fast search, configurable for custom builds. Free for Linux in case of usage as IDE for C/C++. Indexing doesn't update so quick as expected. Sometimes highlighting is breaking for some pieces of code without any noticeable reason. Doesn't always work correctly with C macro highlighting, not always highlights correctly the complex types. Very complex approach to create initial app on Qt with visual editor. Very good IDE under Linux, which is usually a rare. Code development for different areas of the market. "Good IDE for cross-platform development"
Qt Creator is an advanced and free IDE on Linux/Win/Mac, which is actually very rare. If you are on Linux platform, it'll be hard to find another IDE comparable to Qt Creator. The speed is sometimes not very good. And it occasionally crashes. Also, CJK support is not good enough, especially on Linux platform. I've used Qt Creator for C/C++ development. The cross-platform feature of Qt Libraries is just overwhelming. I think it's probably the only usable GUI library for cross-platform application development. "Gets the job done, works well for GUIs"
The WISIWIG builder tool is awful. Feature set could be improved. Okay for GUIs, I wouldn't use it for other projects. "Great software for C/C++ development." The user interface is pretty neat. The QMake facility makes the linking job a lot easier than traditional tools. for GUI development, drag-and-drop is super easy to use. Plus, it's cross-platform. Is buggy at times. The way it saves and reads the user config file is not good. 64-bit binaries of older versions are difficult to find. Please consider using it for quick GUI prototyping and even for daily C/C++ applications. Mainly for creating GUI for different applications. The major benefit is quick prototyping. Qt Creator is a product I was able to download once I had a license. It had no additional cost. I have not yet discovered how to create a project with it. As with any new API, most of the documentation that I find assumes that I already can read their minds. I struggle to determine the basic information that other documentation writers deem to "go without saying". Creating a GUI app as a frontend for a process-intensive task so that a non-technical person could use it. development of fast prototyped state machines for embedded products. We mocked up the low-level drivers and Qt creator allowed us to use the same libraries as in the embedded product to design the state machine. "Not that much attractive IDE"
It has very vast collection of libraries and property you can use. So if target is Qt compatible, building an application is very easy. There are so many other compatible IDEs are out there so Qt creator lacks some features which visual studio or eclipse has. Version my company used was free so may be price is zero. The standard libraries and the signals-and-slots feature are just amazing. Actually, there is nothing that I dislike. I develop a data analysis software. The main benefits is that the QtCreator is easy to learn and use, the code can be written in C++ and it is multi platform. "Good IDE with great facilities"
I like how it delivers everything I need for a qt application and adds additional tools compared to text editors. The user interface can be a little difficult to use. Prototyping gui applications. It’s easy to get a quick prototype up and running. Native IDE unlike Eclipse. Fast auto complete. Integrates to GDB for debugging and SVN for code versioning. Benefits are, It includes a visual debugger and an integrated GUI layout and forms designer. The editor's features include syntax highlighting and autocompletion. "Qt creator for C++ projects"
The debugger is helpful, as is the project navigator. I find it difficult to find and set c++ compiler settings for an imported project to get it to compile. Research and development. Being able to organize and navigate large projects. "The most advanced Linux C++ IDE"
It's a wonderful IDE to use for developing C++ applications, let alone developing with Qt. It's comparable to Visual Studio on Windows. No global menu support on Ubuntu. It also needs better built in support for ccache. Editing pro files can be tricky cross platform. "QT is great for small projects"
Tutorials and online help are easily available. Great documentation and is platform independent. "Excellent IDE for developing C++ applications"
Ability to interface with gdb debugger. Multi window capability. * We monitor all Qt Creator reviews to prevent fraudulent reviews and keep review quality high. We do not post reviews by company employees or direct competitors. Validated reviews require the user to submit a screenshot of the product containing their user ID, in order to verify a user is an actual user of the product. Hi there! Are you looking to implement a solution like Qt Creator?